Starboard is a significant shareholder of Yahoo! Inc. (NASDAQ:YHOO), and has delivered the said letter on account of reports that the company is considering large scale acquisitions. Prior to the current letter, Starboard prodded Yahoo earlier in September last year to combine with AOL, arguing that such a deal will have the effect of reducing overlapping online display advertising that should translate in a synergy worth $1 billion. Starboard is also a shareholder of AOL. Estimize CEO Leigh Drogen, in a televised interview with Fox Business, opined that “AOL fits right into Yahoo’s business. It is content. Marissa is moving Yahoo towards the native advertising business model and away from display.” It is generally considered that Yahoo! Inc. (NASDAQ:YHOO) and AOL have overlapping services, which is the argument most tendered for their combination, and with AOL’s market value estimated to be at $3.5 billion, it is seen as an investment that Yahoo can afford. According to Starboard, Yahoo! 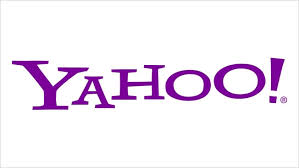 Inc. (NASDAQ:YHOO) should also consider disposing its remaining shares in Alibaba, as well as Yahoo Japan. Just last week, Yahoo’s stake in Alibaba was reduced to 16 percent from 22 percent after selling its shares that gave the company an amount of $9.5 billion prior to tax. While noting that Yahoo! Inc. (NASDAQ:YHOO) CEO Mayer is “not in a position to comment on media speculation”, which has prompted the letter from Starboard in the first place, Smith further prodded Mayer to immediately advise stakeholders about her “intentions regarding both of Yahoo’s non-core minority equity investments and other actions to enhance shareholder value.” Smith added that pursuing “large scale acquisitions and/or cash-rich split”, as per speculations, would be a clear signal to investors that Yahoo needs a leadership change.